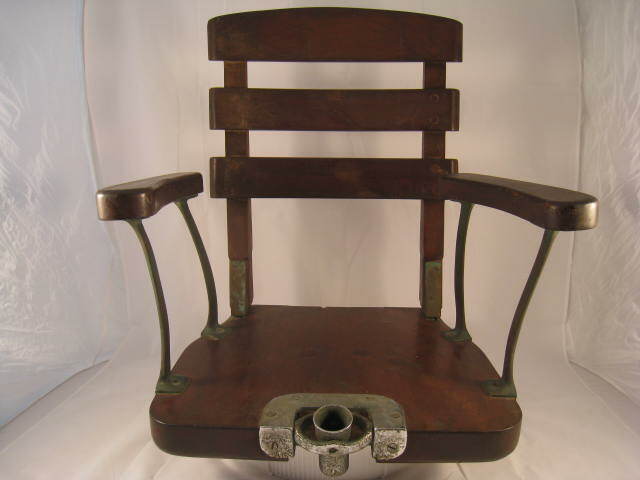 Edward Vom Hofe fighting chair circa 1930’s with bronze hardware, German nickel rod gimbals with E. Vom Hofe – NY stamped into it, adjustable seat back and original flange on the bottom. Probably used for sailfish in the Palm Beach, FL area. Extremely early and rare chair for the serious collector…24”h x 18”w x 18”d. Frog pattern ice fishing decoy from Minnesota by Waltham...approximately 3 ½” l…minor paint loss and wear…found in a Wadmalaw Island, SC estate. 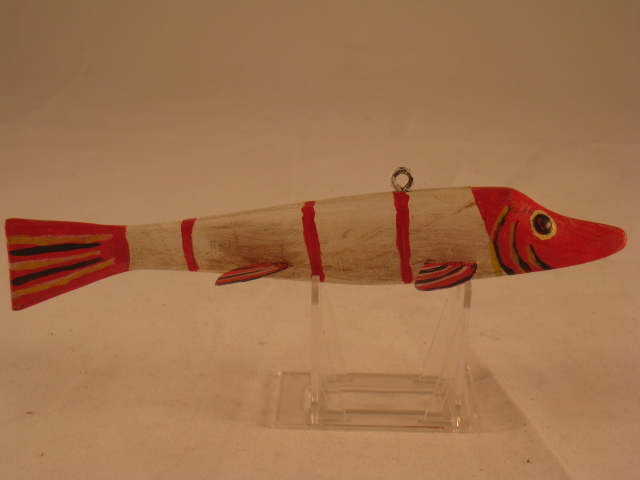 Ice fishing decoy in Northern Pike pattern…metal fins, belly weight and nice gill carving...some wear to paint and rust on metal fins...8"L.
Frank Mizera ice fishing decoy in the red and white pattern approximately 7 ½” l…minor paint loss and wear…found in a Wadmalaw Island, SC estate. 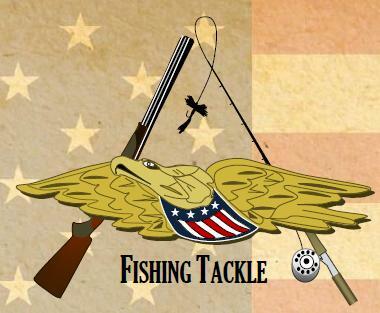 Rare vintage fishing priest for subduing green fish brought aboard a boat...well used condition with battle scars...beautifully wrapped handle..."W K Hahn" carved in barrel near handle...approximately 14"l.